A suffragette meeting in Caxton Hall, Manchester, England (c. 1908). 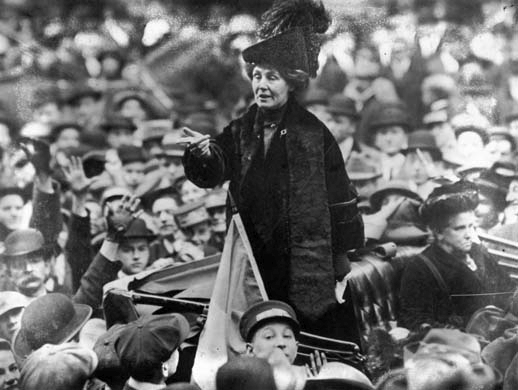 Emmeline Pethick-Lawrence and Emmeline Pankhurst stand in the centre of the platform. Photo: New York Times archive via Wikimedia Commons. 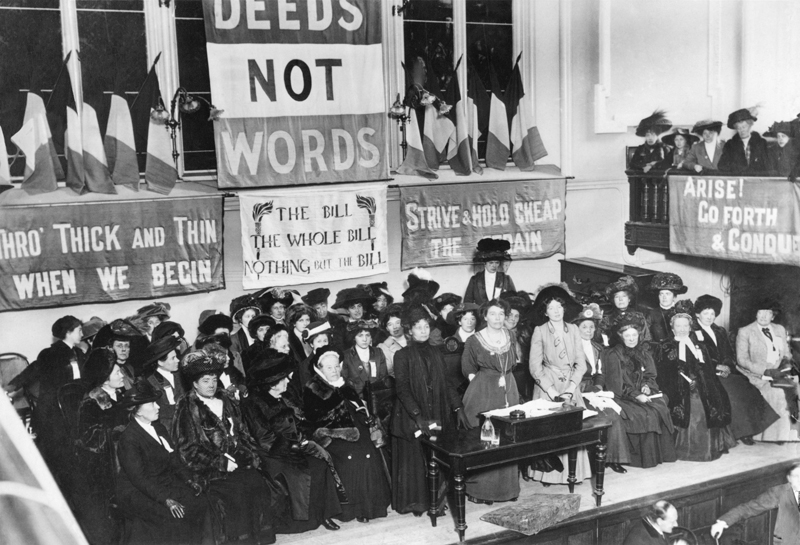 In 2018, one hundred years since women gained the right to vote, Jacksons Lane gained funding from the Women’s Vote Centenary Fund for an exciting and ground-breaking theatre and education project celebrating the suffragette movement and the role of women in democracy and politics. Award-winning theatre director Katie Posner, designer Kazuko Hohki and writer Yolanda Mercy worked with three groups of brilliant, insightful and determined young women and men from St. Thomas More Catholic School, Christ’s College Finchley and Hornsey School for Girls to create three explosive and powerful pieces of work that asked the question: how much has really progressed since women first got the vote in 1918? Performances were followed by a debate where female guest speakers from all generations joined audience members to participate in discussions around female economic and political empowerment, equality, inclusivity and education. Worlds by Women is funded by the Women’s Vote Centenary Fund.